Being vindicated hundred or thousand years later is not a scientist or philosopher dream, but experience confirms this happens all the time. Meanwhile, the world enriches with their knowledge, and humanity uses the discoveries to progress. Innovation could be a revival of past ideas whose time have come through rediscovery and upgrading. 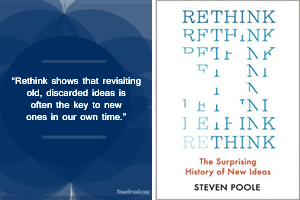 This is Steven Poole argument in his book Rethink: The Surprising History of New Ideas. Steven Poole compiles plenty of examples in different areas. A re-purpose of a product can keep the business going as happened with a wallpaper cleaner invented in 1933. After twenty years, it seemed the business was coming to an end. However, family members re-purposed the product as a toy and name it Play-Doh, and four years later, sales were grossing $3 million a year. By accident, a medicine first developed to treat angina was repositioned as Viagra. It was re-purposed after investigating the side effect on the male test subjects that they weren’t expecting. An invention from 1937 by chemist Robert Davidson. In 2015, Tesla Motors was selling 50.000 cars per year. Nowadays, China is the world most important market to sell electric cars, and mostly from local manufacturers. The use of medicinal leeches dates from ancient Indian and Greek medicine. In 1985, for example, Dr. Joseph Upton “became the first doctor to successfully reattached the ear of a child using microsurgery.” The doctor saved the patient’s ear after surgery with the use of medicinal leeches. 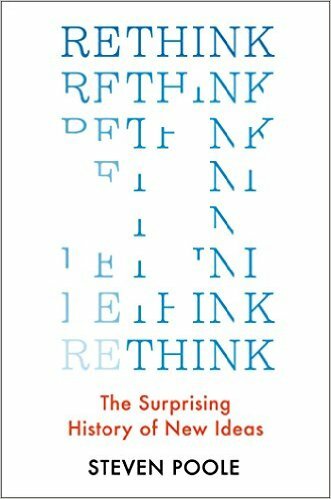 Steven Poole points out in his book Rethink how an old idea discarded as obsolete, got reevaluated and upgraded in the chess world. “The Berlin had barely been played for decades before Vladimir Kramnik rethought it.” After Garry Kasparov had been the world champion for fifteen years, Vladimir Kramnik won the chess championship of the world in 2000. Some ideas from the past are controversial such as immunization, and terrifying like ideas behind eugenics. Other nonsense ideas resurface such as the belief that the earth is flat, or the tongue-map myth which is the result of a mistranslation of a German PhD thesis published in an American psychology textbook written by Edwin Boring in 1942. The ideas we use today could be wrong, but convey the best of our abilities nowadays. Ideas remain useful until they are proven wrong, and get improved or replaced. An idea is dynamic as Steven Pole says it is a moving target, is a process as much as a thing. The science environment is anything but merciful on its transgressors, and some careers have ended because of a review on a prestigious magazine contrary to the scientist point of view. Somehow, a brave heart has to be the one to dare to publish something against the establishment. His/her career can end in a blink of an eye or a review. The past is full of useful, not so useful and better-forgotten ideas. Moreover, right now scientist and philosophers are digging into the past for the next innovations and having the courage to publish them.